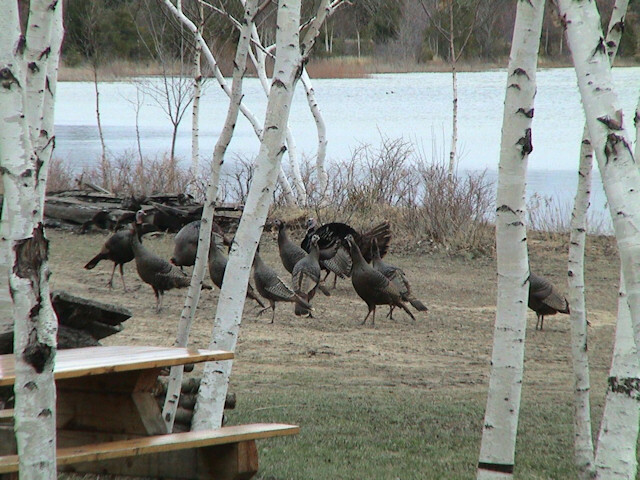 Come experience camping the way it should be, in a natural environment where you may see a coyote, a pair of American Bald Eagles fishing in the lake, a bobcat stalking a rabbit or just a pair of whitetail deer drinking along the side of the lake. We have 180 acres of woods and water with miles of trails to roam at your leisure. 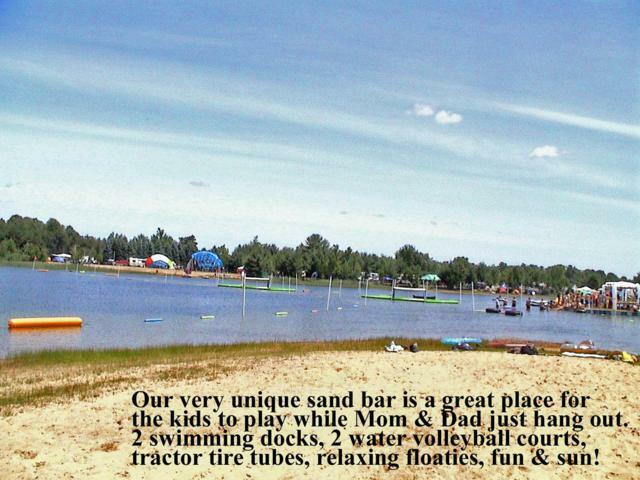 In the middle of our campgournd is our private 40 acre sand bottom Lucky	Lake with over a mile of shoreline and the most unique sandbar in the center that is a gathering spot for kids of all ages. 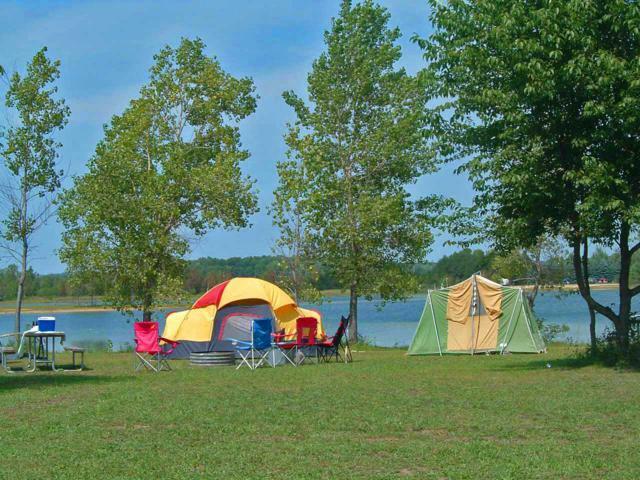 We have large, flat RV sites, Pull-Thru's, tent and group sites available. A limited number of water and 50/30/20 amp electric sites, waterfront 30/20 amp electric sites, 2 separate 5 and 8 acre group sites to meet the needs of one family or the largest group outing. 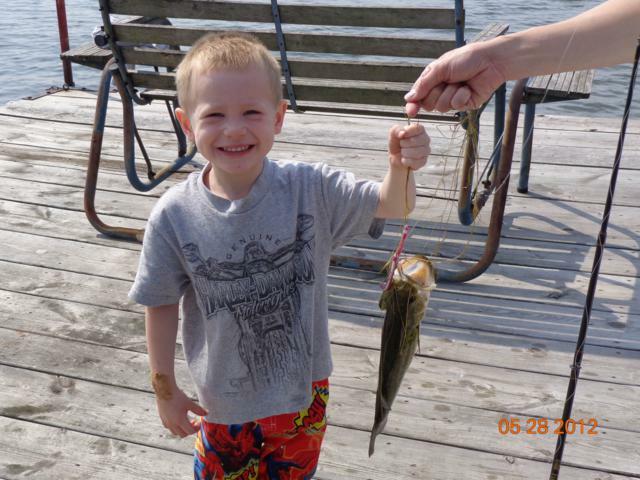 Nearly 100 of our sites are directly on the waterfront with swimming and fishing at your very door step. Walk or bike the miles of scenic nature trails on our property -- experience camping all over again! EZ off and EZ On to US-31 at the Rothbury / Winston Rd., exit #136. Our entrance is just a couple hundred yards to the east. Don't Camp? How about a picnic? 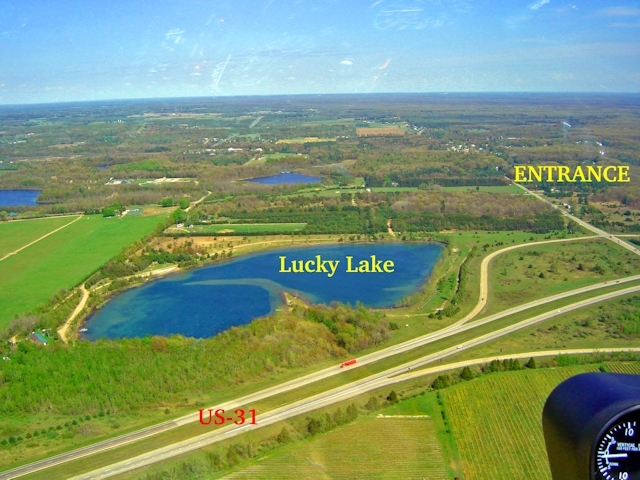 Lucky Lake Campground is not just a campground-- we also have acres of private picnic area. Perfect for that family gathering (why mess up "your" house?). 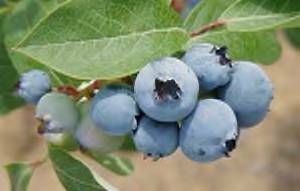 Church, youth groups, corporate or company outing are all a breeze, we have shady, cool woods with charcoal grills, picnic tables and fire rings just a few hundred feet from acres of sand beaches, swimming docks, water volleyball courts and the most unique sandbar anywhere around. Sit in the shade or sun and watch the kids enjoy a day at the beach-- better yet, why not join in on the fun! Try our trophy fishing, many folks (yes- the ladies too!) come JUST for the fishing. How about a really special birthday party or family reunion? Tents and catering is available. Acres of free parking! Call and book your event today. No minimum number and discounts for large outings. We are Pet Friendly !!!! A natural pine woods covering over 2 acres, carpeted by years of pine needles, cool and quiet on the warmest of days. Come and enjoy the spiritual peace of the wind whispering through the mature White Pines. Take a quiet walk, stretch out on the soft matress of pine needles, enjoy the tranquil shade and let your work day cares float away! 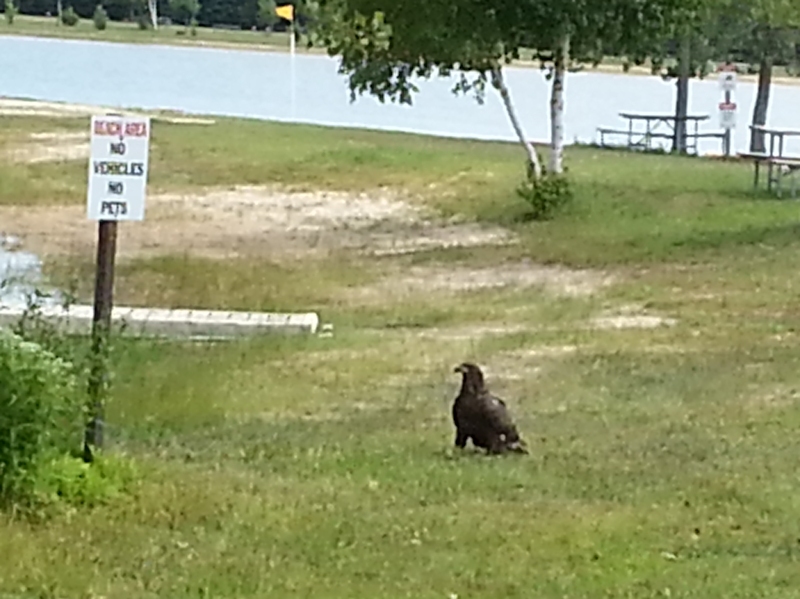 Does Lucky Lake Campground have American Bald Eagles as frequent visitors? The answer would be--- Yes! We have been blessed to have a mated pair as almost daily visitors for several years now. In 2011 we had a fledging (an young eagle that has left the nest) that we saw several times, in 2014 from mid June into the late fall we had not only the parents that visited on almost a daily basis but they brought their young eaglet by to learn how to fish for it's own food. 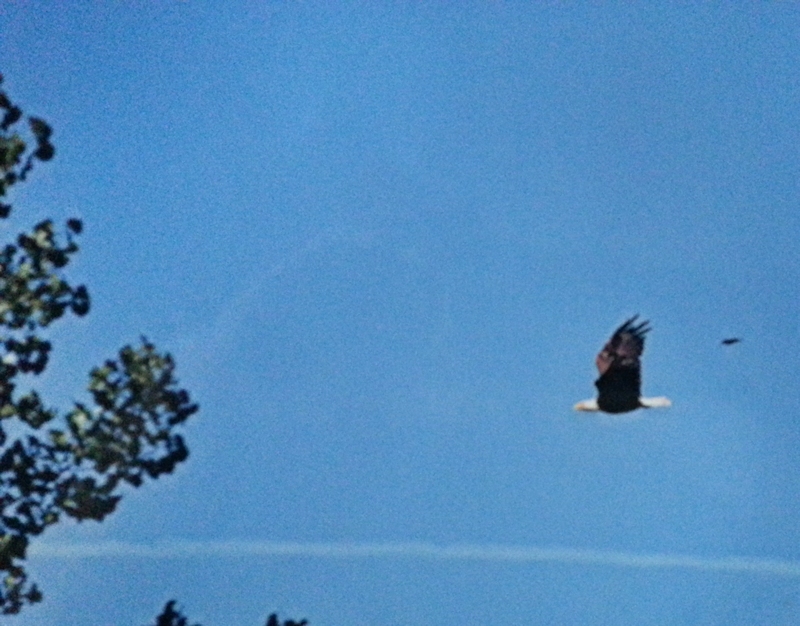 The one photo by Robert Jones shows one of the mature parents flying over the lake. 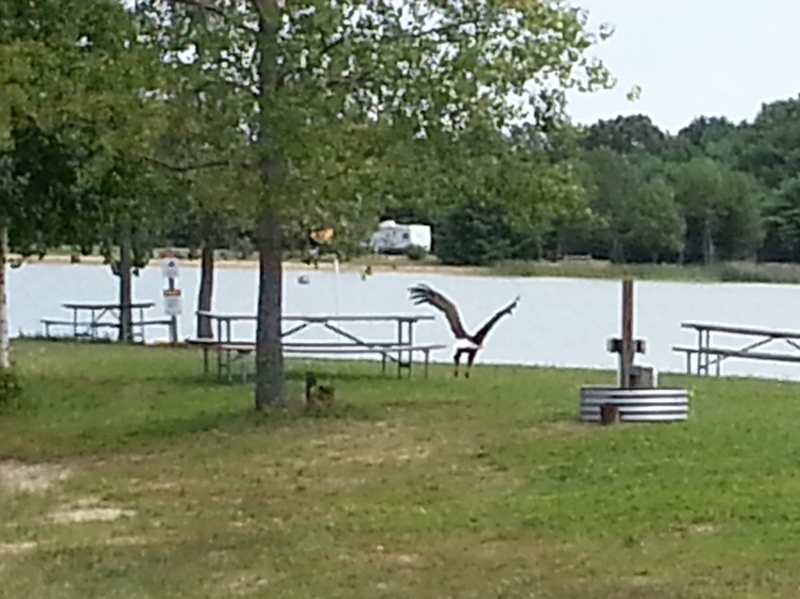 The other two photos show the young eagle on ground by the fishing dock eating a fish it's parent had caught and the parent flying away across the grassy sandbar after I had spooked it, note the picnic table it's flying by and the height of it's wings. My guess is that it must be 7 to 8 feet in wingspan. Eagle viewing is pretty touchy-- sometimes they will sit in a tree and let you drive by, but just like deer, if your on foot, they spook very quickly. Best thing to do after spotting one is to stand very still (in shadows if possible) and watch quietly, moving only when it's head is turned or down feeding BUT be aware, they have excellent eyesight and have spotted me coming out on my porch from the other side of the lake (over 1/4 mile) and spooked. Best to enjoy the beauty from where you first spot them and you never know, I've seen them fishing, bathing (they will go completely under the water and come up shaking like a dog, then fly up to one of the lakeside trees to dry out) and a couple of times I have seen the pair fly high over the lake, spiral down, one will flip over, grab the others talons and they both spiral down, breaking off a few hundred feet from the water. Now that is a real treat to see! 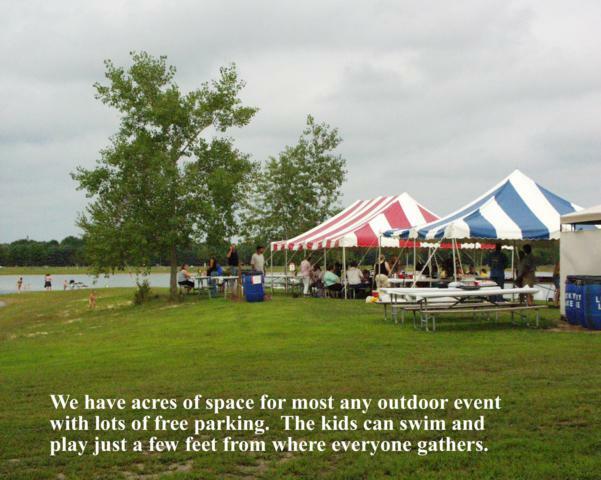 With nearly 30 acres to accommodate that special outing, lots of parking, with catering and tents available. Let us plan that next special occasion. 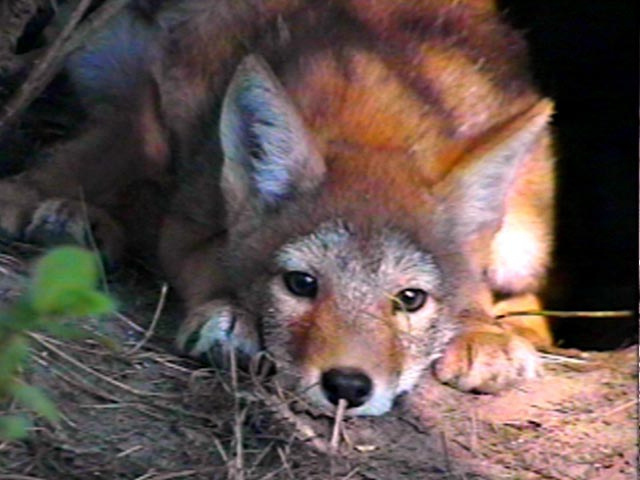 Enjoy the trails, schedule a photo safari! Over the past few years we've seen: deer, coyotes, 1badger, 2 bobcats, lots of Bald Eagles, a Golden Eagle, lots of loons (spring & fall mainly), ducks and geese of every description, osprey and 3 species of cranes plus many small birds and mammals. A clean, clear, soft water lake, with a mile of white sand beaches. Plus an Aqua Park -- that's something you may never have seen or experienced before! 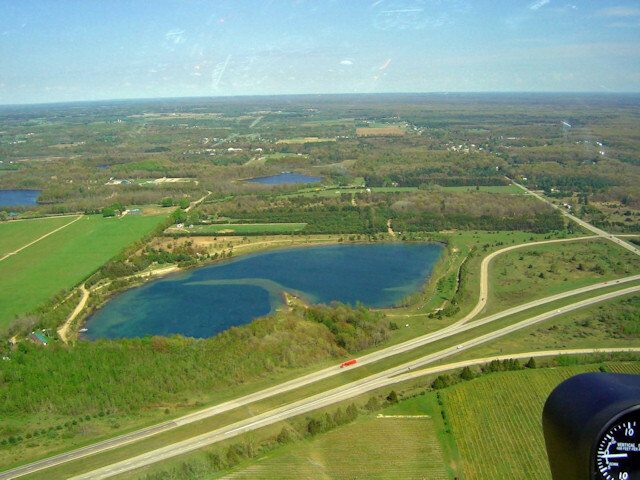 Imagine a unique sandbar that nearly crosses the lake (see photo in upper left corner).. A great mix of water sports and activities for a family outing or that corporate picnic, a play center for kids of all ages! The shallow water is great for old bones too- you don't fall down, you just make a splash! Bring a lawn chair and have a really nice sit down. Double JJ Resort "Right Next Door"